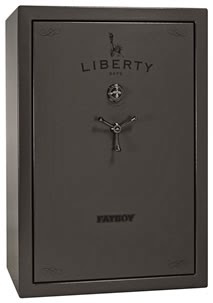 Long… long before I picked up a Liberty Fatboy Safe, I ran the numbers on full insurance costs for my valuables and I was shocked, stocked, and appalled. The break even on the Liberty Fatboy was an easy decision. With all my valuables tucked away inside my safe, the next question is how would I know if someone accessed or accessing my safe no matter where I am? 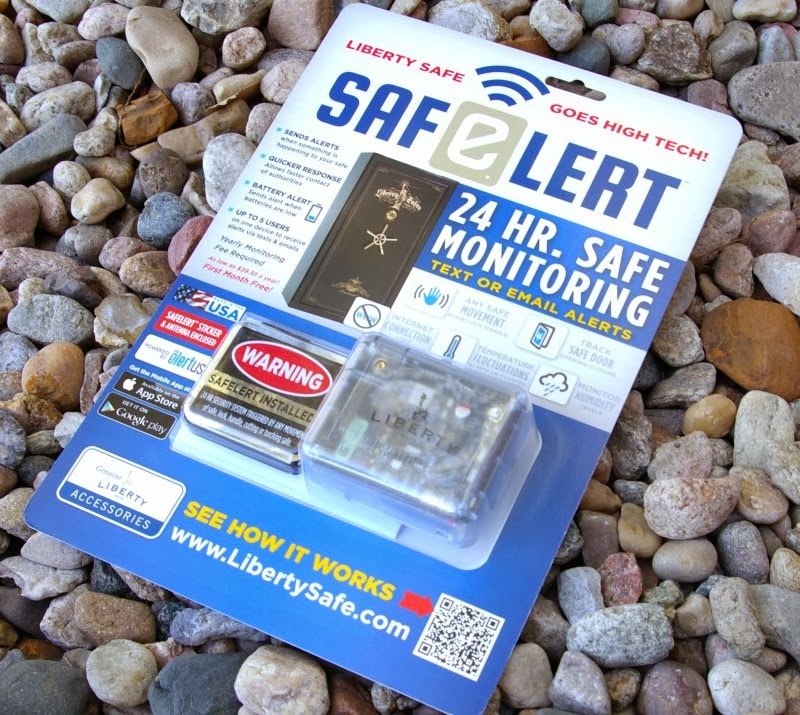 Liberty has the answer with their new Safelert Monitoring System. Liberty of course should be a name you know as “the” name in personal safes as the largest safe manufacturer in the world. My only recommendation on safes is to go for the biggest safe you can afford, because you will absolutely fill it up. The Safelert Monitoring System is a lot of cool complex capabilities wrapped up in a very simple user interface (if you read the directions). Imagine your wife pulling one of her Dooney and Bourke purses from the safe and the instant she opens the safe you receive a SMS text or email of the event. That is exactly what the Elertus powered Liberty Safelert Monitoring system does. However the system does even more including alerts when the door is opened or closed, movement (tampering), “hot” and “cold” temperature thresholds, humidity (water and flooding), and battery low warning. The Safelert system is a roughly a 2” wide x 3” tall clear polycarbonate box with a circuit board and blinky lights inside. It looks good and takes up very little space when mounted just inside the door. Inside the Safelert is a lot of sophisticated capabilities. 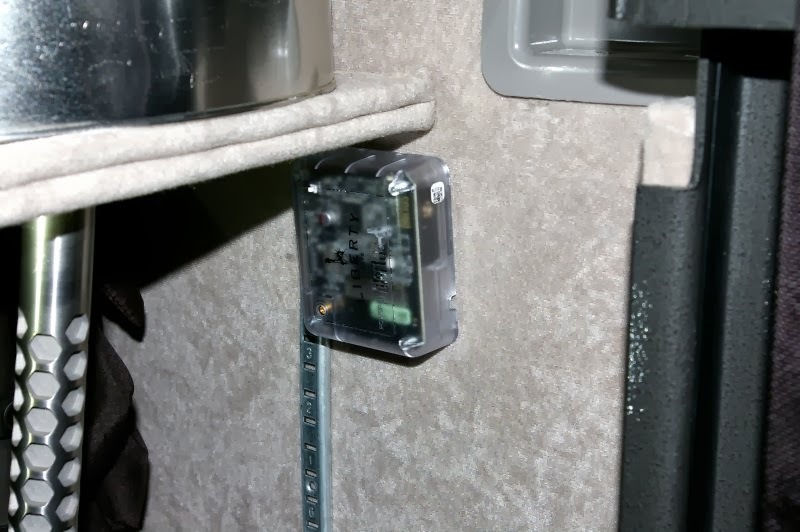 On top of being able to measure door opening and closing, movement (tampering), “hot” and “cold” temperature thresholds, humidity (water and flooding), and battery low warning, the unit is wifi enabled for connectivity to your wifi network to transmission of alerts through the Safelert system. Along with the instructions in the box is a wifi antenna extender which can be used if the Safelert system does not have a high enough signal strength when enclosed in the safe. I did not have to use the optional included wifi antenna. Following the setup instructions was a simple affair, however I did miss the onscreen note that there was a verification email that was sent out. I would note that the process is really super easy, however clearly not idiotproof - after all this idiot stumped himself at one stage during signup. Basically pop in the batteries and follow the included initial setup instructions which links your computer to the onboard Safelert wifi for initial configuration. 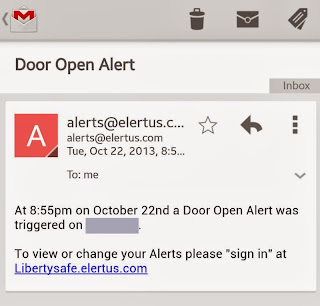 After that, the instructions transition you to validate your email address, I missed that part, and then finish configuration on the Liberty Safelert site. 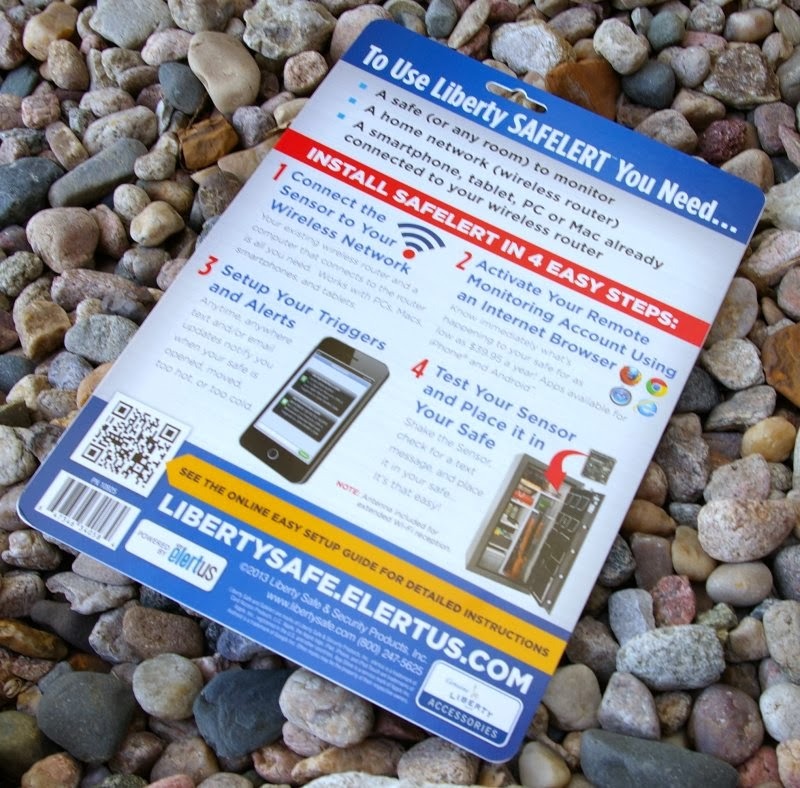 Your new Safelert system performs a sync to the Liberty remote system within about 30 minutes. From start to finish, you can have your Safelert system installed and configured within about 45 minutes. The Safelert system is $199 + a required annual monitoring fee. The annual fees range from 3 YEARS - $39.95 a year, 2 YEARS - $49.95 a year, 1 YEAR - $59.95 a year. I purchased the 3-year option and completed the registration. 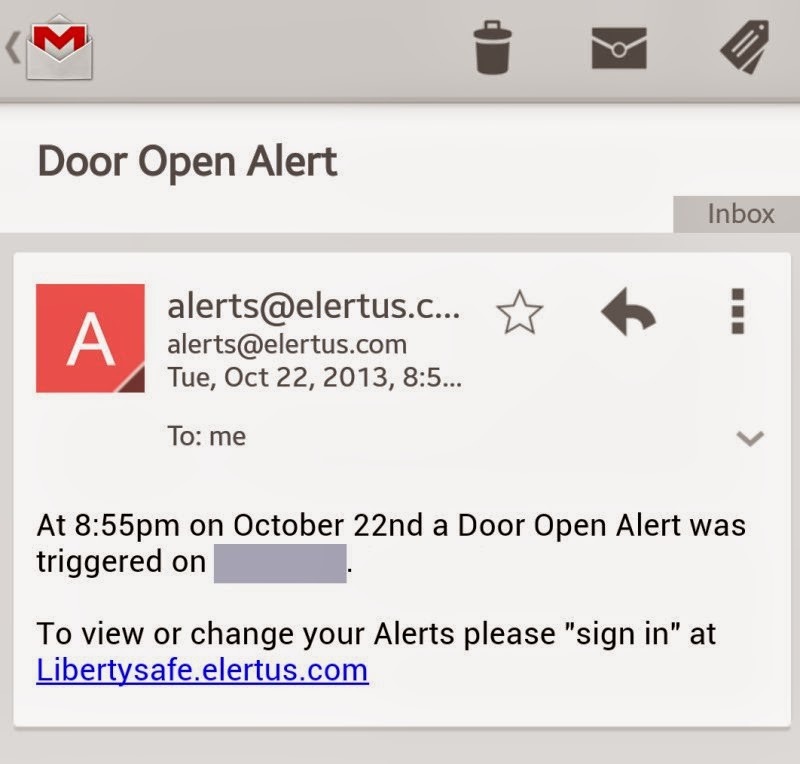 At any time, the user can customize the trigger points to receive alerts. So let’s say you want to set triggers for a certain humidity and temperature, you could, and could enable or disable door open/closed alert. I enabled everything initially including SMS alert, however I did tune the alert a bit over time and dropped some SMS alerts. The system will even tell you when to replace the included batteries or wireless signal. Safelert even provides weekly status reports of key trigger points. You can mount a rather obvious Safelert Warning Sticker, however I rather not advertise that I am monitoring the safe. 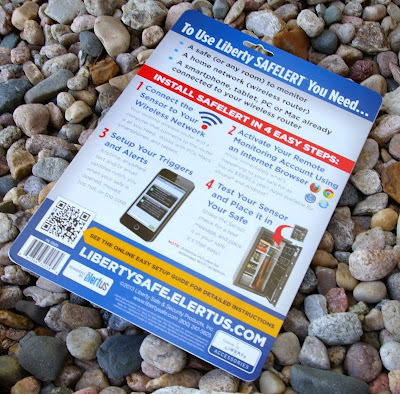 The Pandemic household has many levels of home intrusion and burglary protection, however I had no idea when or if someone had tampered or access my beloved Liberty safe; the Safelert provides that report and a huge piece of mind. The system works, is easy to set up, and far less expensive than full insurance coverage of everything of value typically stored in a safe. One of the more handy features is the SMS text message direct to your phone, and/or email message alerts. They key here is that you can tune the alerts to your needs, on/off, enabled/disabled, thresholds and how to receive the alerts - you can can your safe protection exactly how you want it. Very cool accessory that adds another layer of security to your home security strategy.